2015 has come and gone. 2016 is a new page in all of our books. We can write our own story and see it through to the end, just as we have in years past. Today, I’ve seen so many great New Years resolutions being posted on Facebook. From people that I KNOW will make those changes. I no longer commit to resolutions. Haven’t for years. I rarely ever kept them. It sure did sound great when I would proclaim all of the things I was or wasn’t going to do in the upcoming year. I felt so empowered when I’d gaze at the list that took me hours to craft. I would find myself continually disappointed when I didn’t reach them, because I wasn’t disciplined enough. So, I gave up. Not on change, but on choosing one day a year to proclaim the changes I would attain. I believe in goals. I believe in soul searching and asking myself why I wish to set those goals. What are they going to do for me. What will they do for others. Once my goals are set, I do my best to work on my goals, until they are reached. I often find myself zigging, zagging and running around in circles before reaching them. I really DO make it hard on myself. I don’t typically find myself to be a disciplined person. More of a free spirit who just happens to land her goals for some reason. In spite of myself. Possibly because I believe in “what you focus on expands”. I believe I will reach them and so I do. Usually. Our Digital Media Specialist at @Homes Realty, Kim Holmes, is disciplined. I’ve learned a great deal from her over the past few months since she joined our team. I look at her and see dedication, discipline and commitment. Each, a trait needed to attain goals. I have never met a person that is so determined and committed. To life and to her goals. She has earned her spot in the badassery club. Tomorrow, Kim will reach yet another HUGE goal that she set for herself. 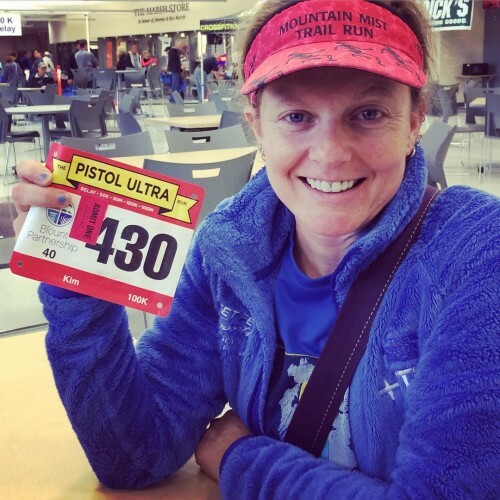 To compete AND finish the Ultra Pistol 100K in Knoxville, TN. ONE HUNDRED KILOMETERS. That’s SIXTY TWO MILES. She will have 30 hours to complete the race. THIRTY HOURS!!!! I”m sure a few of you can imagine and understand the hard work and dedication she has given. She’s been working towards this goal daily. Up at 3:30 am, working towards it. One foot in front of the other. Literally. (And Kim is a wife, mom of 2 and doesn’t put them 2nd, fyi). She is a badass. I had almost convinced myself to not use that term for fear of offending others, but Kim deserves it. I almost didn’t even write this. Kim is such a gifted writer and her words tell a story. I can’t craft a story like she does, but I knew it would come from my heart and she’d love that I even made an attempt. (Although she is so humble and I’m quite certain she’ll be embarrassed when reading this.) So, here’s to you Kim and all of your badassery. You are in my heart tomorrow. We are all so proud of you!!!!! If you are a goal setter or have made a New Years resolution, are you ready to commit to the necessary work it will take the reach them? My parents used to say “Nothing good comes easy”. I set some lofty goals this year, personally and professionally. Kim is my inspiration to work daily towards them, one foot in front of the other. And no, my goal certainly isn’t to run a 100K. I’m NEVER going to be that committed. Ha! If you haven’t set your goals for the year or don’t know where to begin, here is a great article on goal setting that may help get you started. 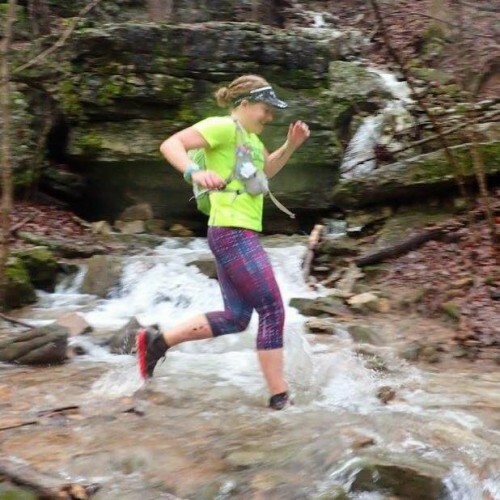 My wish is that you have a wonderful 2016, set goals and get to experience the feeling of reaching them, just as Kim Holmes will be able to do tomorrow night when she completes one of her largest goals to date. Happy New Year, friends! PS: The Urban Dictionary defines badassery as: Engaging in seemingly impossible activities and achieving success in a manner that renders all onlookers completely awestruck. I’d say Kim has earned her spot in that club, wouldn’t you? behavior, characteristics, or actions regarded as formidably impressive.